I’m at BEA today, so leaving you this stack of new books and ARCs to peruse seems doubly appropriate. 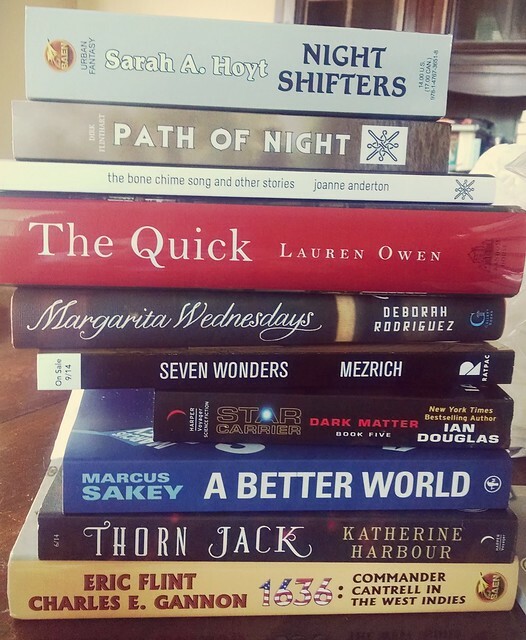 See anything here that makes you want to rush to the book store to buy and/or pre-order? Let me know in the comments!